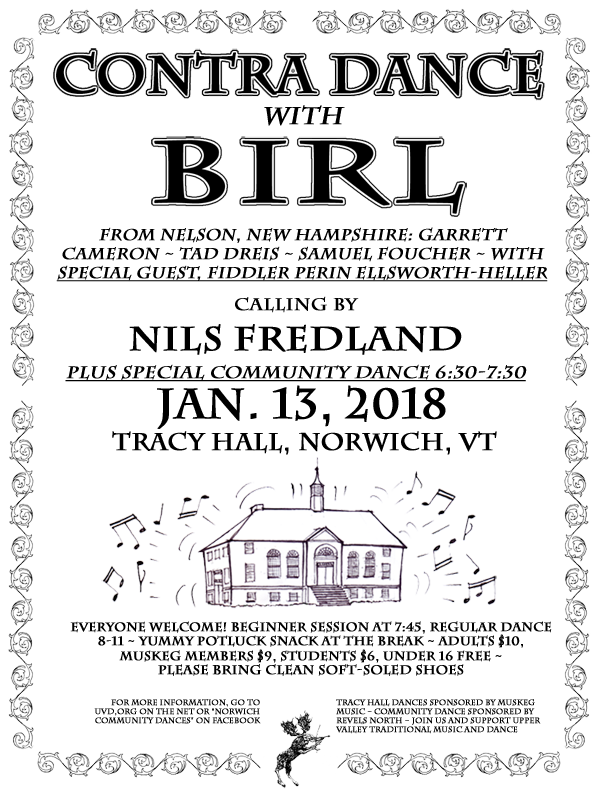 Birl is made up of Garrett Cameron, Tad Dreis, and Samuel Foucher, young multi-instrumentalists now playing as regulars at the legendary Monday night dances in Nelson, NH and bringing a high-energy Scottish bent to the world of contra. Learn more about this hot up-and-coming trio at http://www.birlmusic.com. NEWS FLASH: For Jan. 13, Birl will be joined by special guest fiddler Perin Ellsworth-Heller! Birl -- Here's how we sound!